A noncontagious skin disorder that most commonly appears as inflamed, edematous skin lesions covered with a silvery white scale. Persons most commonly affected: More common in whites and is slightly more common in women. 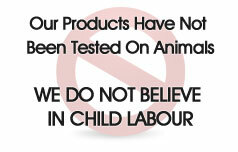 Approximately 10-15% of new cases begin in children younger than 10 years. The median age at onset is 28 years. Symptoms and indications: Psoriasis occurs in different forms, but usually involves the thickening and reddening of patches of skin. 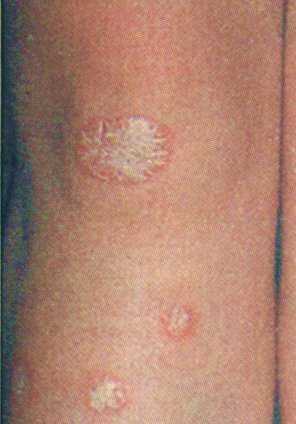 Patches of psoriasis typically occur on the elbows, knees, scalp and lower back. These patches may have a thick silvery-white scale of dead skin on the top, and may be itchy. Most people with psoriasis have the condition for life. But it tends to comes and go, often for no apparent reason, and the severity of each flare-up can vary. Causes and risk factors: In areas affected by psoriasis, there seems to be a rapid increase in the speed at which skin cells are replaced. Skin usually takes about 27 days to replace itself; in areas affected by psoriasis it may take only three or four days. New skin cells go rapidly to the surface before they are properly mature, forming the thick psoriatic patches. There is also a build up of white blood cells (called T-cells) under the skin, which causes inflammation. It is thought that substances produced by the immune system may cause both the build up of white blood cells and the abnormal turnover of skin cells, but what makes the immune system behave in this way is unclear. Prevention: There are several common-sense ways to help minimise psoriasis flare-ups: Where possible, avoid anything known to trigger the condition, especially stress. Do not scratch or pick at the skin: it may bleed and become infected, and psoriasis may then develop in that area. Avoid soap, which can be drying, and instead wash with aqueous cream or an emollient wash (eg E45). After washing, pat the skin dry, don\'t irritate it by rubbing vigorously. Use plenty of moisturising cream to soothe and soften the skin. This is especially effective after washing. Sunlight helps some people with psoriasis. However, avoid the sun if it causes pain and avoid getting burnt. Wear cotton clothes next to the skin and avoid rough, synthetic materials. Increase fiber in your diet. Eat fresh, whole foods and include whole grains, raw fruits and vegetables, or beans at every meal. Avoid red meat, poultry and milk. Do not eat other foods that are difficult to digest (Fatty, fried, and junk food, etc). Alcohol causes inflammation and triggers psoriasis in many people. Make sure to avoid caffeine.